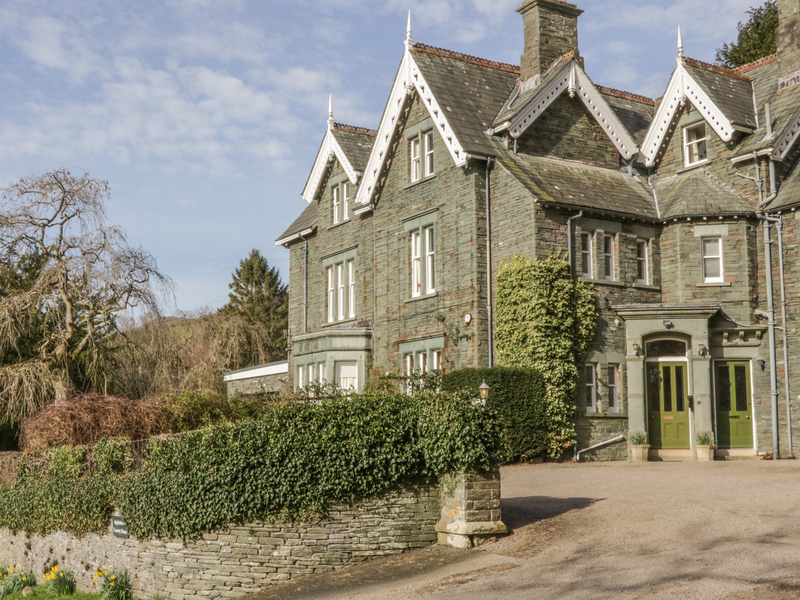 Somervell is a stylish heritage apartment set over the first and second floors at Applethwaite Country House. 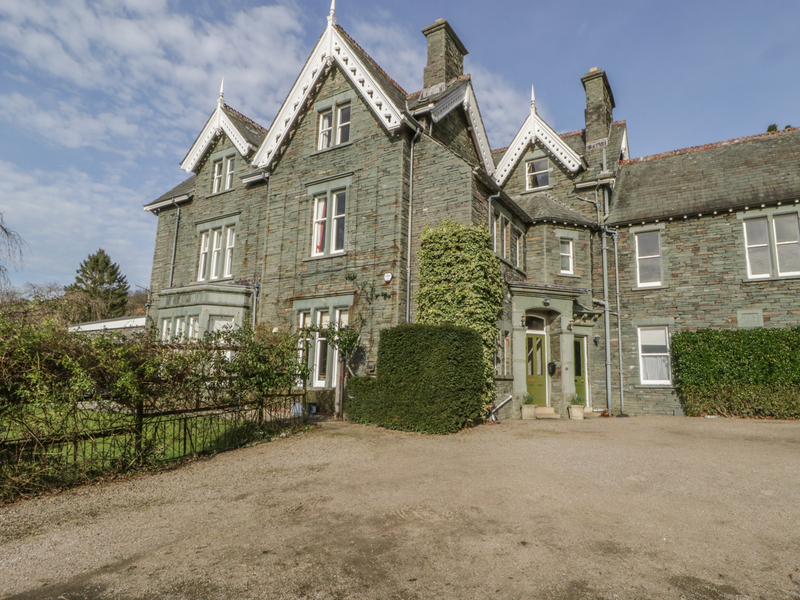 Magnificently positioned in a 2-acre estate with woodland, lawns, a putting green and access to walks to the summit of majestic Skiddaw with its panoramic views over the North Lakes, Somervell sleeps 6 people in 3 bedrooms, all with TVs. The double bedrooms have en-suite bathrooms and spectacular views, while the twin room has a vanity unit with wash basin. The spacious and comfortable living and dining room features the original window seat, the ideal place for curling up and enjoying those spellbinding views. A fully equipped modern kitchen, heritage-style shower room and separate cloakroom with WC complete the accommodation. Guests have full access to the estate and to the country walks in the area, and there's off road parking for your car. Just 1.5 miles from all amenities in vibrant Keswick on the shore of Derwentwater, Somervell is a superb apartment from which to enjoy everything the Lake District has to offer, during any season of the year. Apartment on first and second floor. Three bedrooms, all second floor: 2 x double bedrooms with en-suite bathroom, wash basin and WC; 1 x twin bedroom with vanity unit and wash basin. First floor shower room with wash basin, cloakroom with wash basin and WC. Living and dining room, dining kitchen. Gas central heating. Electric oven and gas hob, microwave, fridge/freezer, washer/dryer, dishwasher, TV, DVD, video player, WiFi. Electricity and gas included. Bed linen and towels provided. Travel Cot available. Payphone available. Off road parking. Use of 2-acre estate with woodland, lawns and putting green. Sorry, no pets and no smoking. Walks to Skiddaw from the estate. Keswick 1.5 miles.